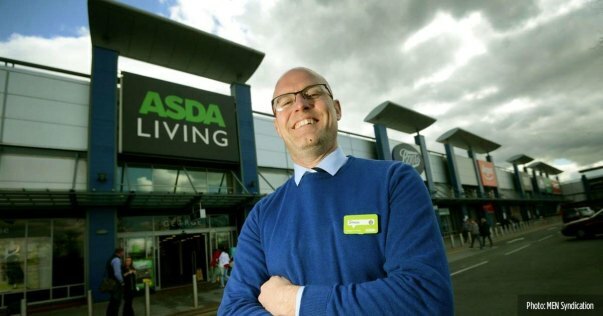 An Asda Living Store in Manchester has introduced a Saturday morning “Quiet Hour” to help customers with autism after an idea from manager Simon Lea. Starting on 7th May, he will be opening the store in Cheetham Hill an hour early to trial a "Quiet Hour" for customers who may be disturbed by loud noise. From 8am to 9am there will be no in-store music or tannoy announcements and the televisions and escalators will be turned off. Colleagues will also be handing out maps of the store featuring pictures instead of words. Simon first posted about the idea on his own Facebook page. He wrote: "I am trying to create a less stressful, quieter shopping experience" and received many messages of support. He was inspired to help after watching the experiences of a mum with her autistic son in store. He said: "This boy was playing absolute blue murder, kicking and screaming. His mum just looked drained. She told me he suffers from autism. He was having a meltdown." Simon managed to calm the boy down by giving him a football, but the incident got him thinking what else he could do to help similar customers. He has also spoken to colleagues who have autistic children. "It's all about helping people really. Six months ago I would have said "control your child" even though I’ve got children. But speaking to people with autism and disabled people has helped me think about how I can make it a better place to shop. "I suffered for many years with anxiety. I used to absolutely hate going into busy stores. There are a lot of people out there who have mental health issues. There are many people who don’t talk about it. "We have a lot of disabled customers and we want to make the shop better for them." Simon is amazed at the reaction to his idea. He said: "I've had customers from all over the country ring me to say they think it's a great idea, as well as managers from other businesses who are planning to do the same thing. To think all of this came from a one-minute chat with a customer and a Facebook post! It’s fantastic."